Absolute Style Limousines brings you premium range of limo hire services in Cambridge and all the other surrounding areas. We are a professional limo hire Cambridge service provider that offers wide range of limo services. 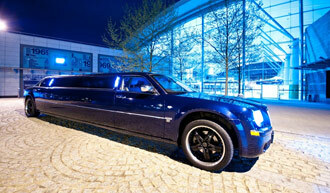 We are here to meet all type of limo hire solutions that best meets your requirements. As one of the most experienced limo hire company in Cambridge, we understand our customers’ requirements better than anyone else does in the industry. No two customers come with exactly the same limo hire need and regardless of the nature of your requirements, we know how to meet your needs in the best way possible. We make the entire limo hire process as easy as possible for our customers. No matter what your preconceived ideas are about hiring limousines, we are here to tell you that limo hire services in Cambridge need not burn your wallet. We provide very reasonably priced limousine hire services and thereby making premium class of limos easily accessible to everyone. Book your wedding limousine from Absolute Style Limousines and make your dream wedding a highly memorable one. We have breath taking stretched limousines as well as traditional London wedding taxi to meet our customers’ diverse tastes and preferences. When you approach Absolute Style Limousines, you will never leave disappointed not finding what you have been looking for. Our wedding cars will come decorated with ribbons of your colour choice. Our limousines are also widely used for other special days and occasions besides weddings. We offer limo services for celebrations like birthday parties, anniversaries, valentine’s day, father’s day, mother’s day, Christmas, New Year, etc. Our luxury vehicles will also be ideal transportation option for your sightseeing needs. Regardless of whether it is just two of you or an entire soccer team, we have wide range of options for you to choose. All our chauffeurs are CRB verified and licensed. We offer safe and dependable limo hire Cambridge services. Entrust all your luxury transportation needs to Absolute Style Limousines and arrive like a star on your special days. All our vehicles are regularly serviced and well maintained to avoid last minute surprises. Once your booking is confirmed, you can be 100% sure of getting the exact vehicle that you have booked without any last minute changes or disappointments. Absolute Style Limousines also offers very reliable luxury transportation services for corporate events. Hire our limousines for airport transfers, corporate dinners and much more. You will find our chauffeurs very polite and helpful. They know how to make you feel special. Contact us to get your quote for your limo hire Cambridge needs. You will find our quotes impressive. Our tariffs are very straightforward and you will not have to worry about any hidden charges. We customise our limo services to suit your specific needs and not vice versa. You can expect a clean limo that is tastefully furnished when you choose our limousines. To enjoy the most luxurious limo rides contact us right away.